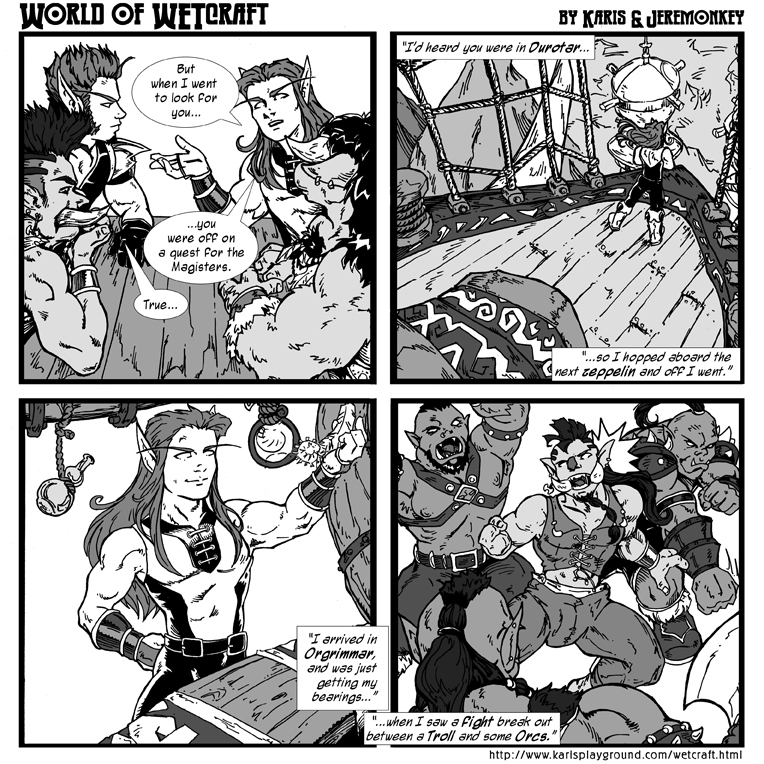 Hey folks, I’m looking for an artist who knows the World of Warcraft setting to continue my parody fetish comic, “World of WETcraft.” It’s like a WoW story with diaper and wet pants jokes. As seen here with Monty the diapered Troll. 2×2 panel format. B&W. PAID gig. Please respond or message me with your rates and portfolio. Email is karis at karisplayground dot com. Thanks!